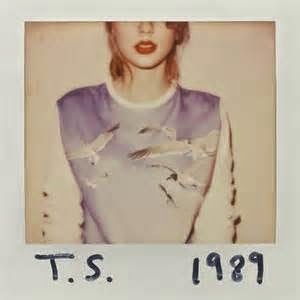 Home / 1989 album / Lifestyle / Music / social media / Taylor Swift / Is This A Crossover Album or A Record of Copycats? Is This A Crossover Album or A Record of Copycats? Taylor Swift is a popular country artist who made some successful crossover from country to pop charts with songs like “Love Story.” It is not surprising when she decided to create a pure pop album as this will be her move to expand to more audiences around the globe as country music is only popular in America but not with the rest of the world. So, was she successful in her transition from country to pop? Let us see. "Welcome To New York" is a good tribute song but not as great as the one that was sung in the movie “New York New York” which was originally sung by Liza Minnelli and popularized by Frank Sinatra. Thankfully, Taylor Swift did not make the rhyme mistake like Madonna did in her “I Love New York” song; York rhymes with dork. The song “Blank Space” has R and B vibe that makes listeners feel like they heard this rhythm before. There is an element of rock when the song is introduced but along the way, you feel like you heard the song before, you know it sounds like “Diamonds” by Rihanna. The same can be said with “Bad Blood” in which the way the song was constructed feels like any Katy Perry song and Taylor even sang like the way Katy is singing. It makes you assume that it is Katy she was having bad blood in this song. While she is a good songwriter; however, her song sometimes just feel wordy and insert some phrase here and there just to impress and some of the lyrics do not fit the song or will make you utter “what?” For example, in “Out of The Woods,” the listener is just fine with “are we out of the woods yet” but she inserted “are we in the clear yet” which made the whole song full of redundant lyrics and it seems that she not in her creative mood her as both phrases were sung several times in the song and it made the whole song seems boring. As a whole, the album is just as it is, no pretensions, in fact repeat listening can make some songs very engaging. This album deserves a 3 star rating out of 5 stars. It means it is more than the average album the music industry has churned out over the years. Yes, there are songs that sound like songs from other artists but lyrically, some of these songs are just wonderful despite sounding more or less the same. No copycat here, she’s simply crossing over.